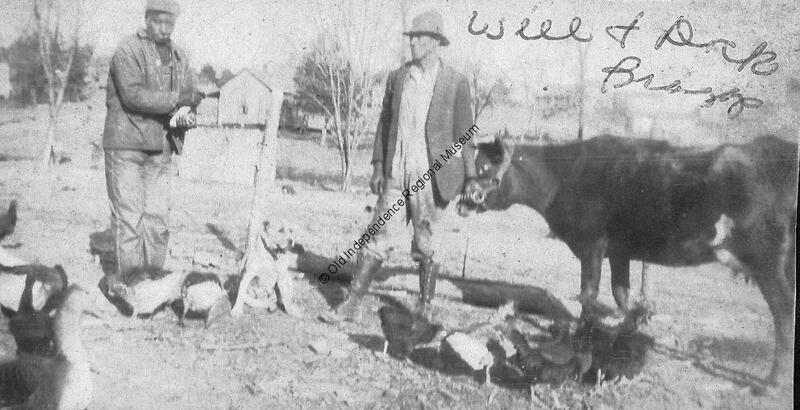 This black and white photo shows Will McCaulley and Dock Bragg on a farm working cattle. Will McCaulley was married to Agusta McCaulley and were the grandparents of Virginia Montgomery. This photo is part of the Marable Collection at Old Independence Regional Museum. The Chickasaw was built in 1863 and was the first steamboat on the White River to have electric lights. 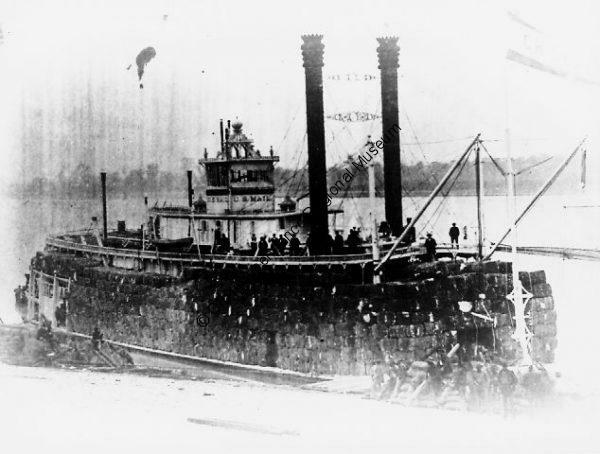 The photo was taken in 1883 when the boat was loaded with 2,200 bales of cotton. This photo is part of the Lankford Collection at Old Independence Regional Museum. A man riding a cow! This photo shows a man riding a cow! You can see the W.O. Ross Groceries Store in the background of the photo. 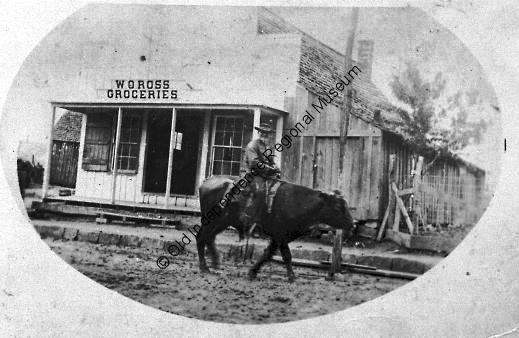 The streets are dirt and the store building is wood. The location of this photo is unknown. If you have information about the photo, please let us know. This photo is part of the Estes/Moore Collection at Old Independence Regional Museum. 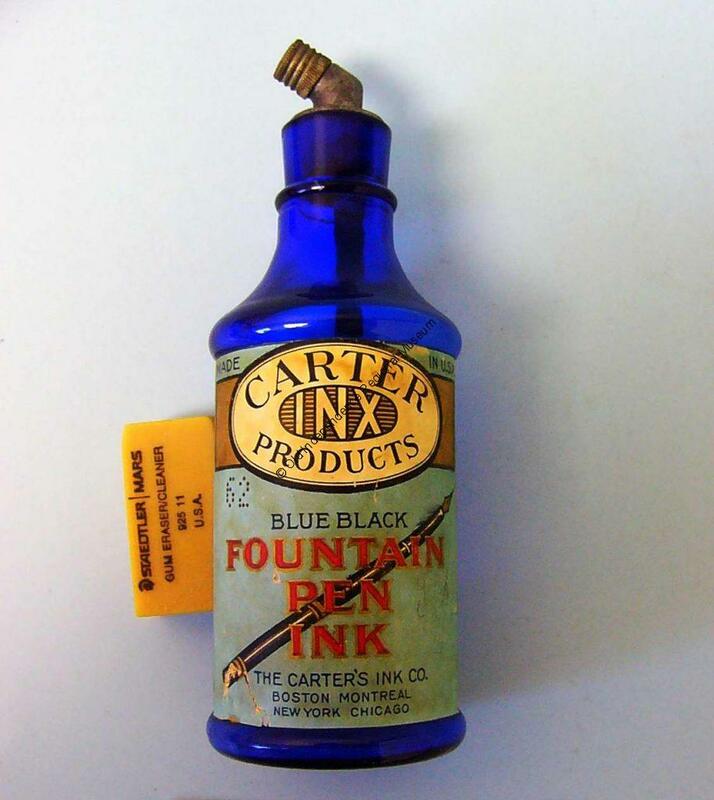 This is a Carter Ink Bottle that was made in the USA. Bottom of the bottle states “Carter’s No. 3”. Found in the Batesville area. This bottle is part of the Bryant Collection at Old Independence Regional Museum. 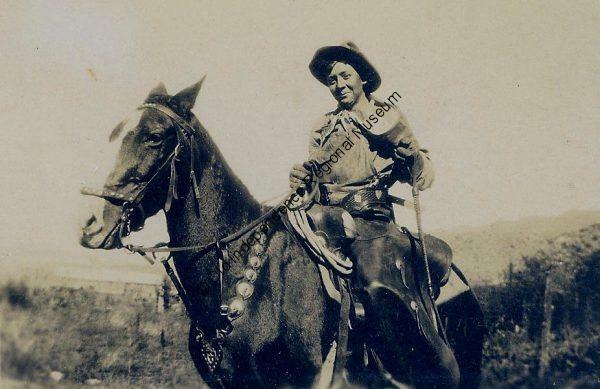 A photo of a woman dressed in cowboy attire on a horse. The woman is believed to be Ruth Marchant. A photo of a woman dressed in cowboy attire on a horse. The woman is believed to be Ruth Marchant. This photo is part of the Killian Collection at Old Independence Regional Museum. Tues - Sat. 9:00 a.m. - 5:00 p.m.
--only for programs at 2 p.m.
All comments will be moderated before posting. Only posts relevant to museum concerns or comments will be approved. Anything deemed offensive or as spam will not be posted.